Did you know that during birth, an average of 60-90 pounds of pressure is applied to the cervical spine of the baby? No need to visit dictionary.com! Neural plasticity, simply put, is the brain’s ability to reorganize itself by forming new nerve connections throughout life. Those nerve connections travel from the brain to the body through the spinal cord which is protected by the spine. If there are misalignments in the spine, pressure can be put on the nerves which interrupts those connections. The immune center in the body is located in the brain stem which sits at the level of the upper cervical spine (neck). Recent studies show that chiropractic adjustments to that region encourage fewer colds, earaches, and general illness. Consistent adjustments have also been shown to reduce the occurrence of ear infections and decrease the need for antibiotics. Colic is characterized by the presence of loud, piercing crying, flexed legs, tension in abdominal muscles and clenching of fingers. Research has found that up to 94% of colicky infants show improvement in symptoms with chiropractic care. Spinal misalignments in the mid to lower thoracic and upper lumbar regions, which carry nerve supplies to the stomach and intestines, cause disruption to the digestive system resulting in colicky symptoms. Chiropractors are trained to correct spinal misalignments thus relieving the symptoms and bringing great relief to your baby. Many new mothers experience pain or difficulty with breastfeeding their baby. Often times, difficulty breastfeeding is a result of poor latching by the infant. This can be caused by misalignments in the upper cervical spine and/or temporomandibular joint (TMJ). 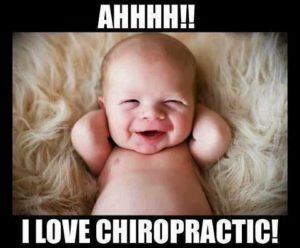 Chiropractic adjustments have been shown to help in as many as 78% of cases, especially when an infant tends to feed primarily on one side. Many children deal with issues such as constipation or acid reflux, which can be caused by misalignments in the thoracic and lumbar regions of the spine. Correction of these misalignments will clear the nerve connection to those areas, thus clearing up the problem. Doctors of chiropractic and chiropractic neurologists offer a non-drug and non-invasive treatment alternative for ADHD patients that targets the underlying problems, not just symptoms. “Motor activity—especially development of the postural muscles—is the baseline function of brain activity. Anything affecting postural muscles will influence brain development. Musculoskeletal imbalance will create an imbalance of brain activity, and one part of the brain will develop faster than the other, and that’s what’s happening in ADHD patients,” says Dr. Melillo. With the increasing prevalence of kids with cell phones, video games, computers, and tablets, there is a noticeable increase in poor posture. Kids seem to be constantly bent over a mobile device of some kind thus promoting forward head carriage and rounded shoulders; a condition known as Upper Crossed Syndrome (Tech Neck). This posture causes tightening of the pectoral and trapezius muscles and weakening of the deep neck flexors and rhomboids (muscles that draw the shoulder blades together), thus drawing the head forward and putting extra pressure on the cervical spine and causing a loss in the natural cervical curve. The cervical curve, or lordosis, is important to bear the weight of the head properly and minimize and slow down degeneration of the spine. Consistent chiropractic adjustments and specific corrective care can help restore the natural curve. Chiropractic care can also help with issues such as asthma, allergies and bed wetting. Pressure on the nervous system can disrupt nerve connection to organs such as the lungs and bladder thus causing problems with breathing and wetting the bed. As children learn to crawl, walk, run and play, tremendous amounts of pressure are put on the spine causing misalignments and decreasing the communication between the brain and the body. Kids fall! It is inevitable. Whether the fall is minor or significant, it will cause the soft tissues that support the spine to compensate thus pulling the spine out of alignment. Consistent adjustments will help correct that and keep the body healthy during the important years of growth. Backpacks seem to be getting heavier and heavier as the years go on. Not wearing a backpack correctly can put excess stress on the spine. Encourage your children to wear both straps even if it isn’t “cool” and show them how to load the pack with the heaviest contents towards the back so that it sits closer to the body. Cinching the straps so the backpack does not hang too low is beneficial…and also, get them into a chiropractor to get adjusted! Scoliosis starts during adolescence which is the worst time because that is when the majority of growth occurs. If scoliosis goes untreated, a growth spurt can make the curve worse. Consistent chiropractic care can help reduce a scoliotic curve and promote proper growth. Kids are starting athletics earlier and earlier in life, which is great for physical fitness, however, it increases the risk of injury. Things like ankle sprains, muscle strains, knee injuries and the like can inhibit a child’s ability to continue play. Chiropractors are trained in adjusting more than the spine. They can adjust extremities as well. If your child suffers an injury, a chiropractic adjustment will help speed up the healing process and get them back to what they love sooner. Think of chiropractic care like dental care…you wouldn’t want your first dental check-up to be when you’re an adult, so why get your first chiropractic adjustment when you’re an adult? There is always a reason for children to get adjusted. 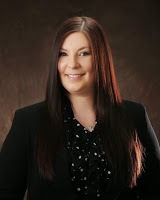 If you, or someone you know, have children, are in the Gallatin Valley area and looking for a pediatric chiropractor in Bozeman, please call Dr. Shea Stark with Pro Chiropractic at 406-388-9915 to schedule an appointment. Dr. Stark is a board-certified chiropractor and the author of this blog post. To learn more about Dr. Stark and the many benefits of chiropractic care, please visit our website: www.prochiromt.com.